Sometimes, an image sums something up so much better than words ever could. That’s certainly the case with this powerful photo of a woman turning a cereal box upside down. 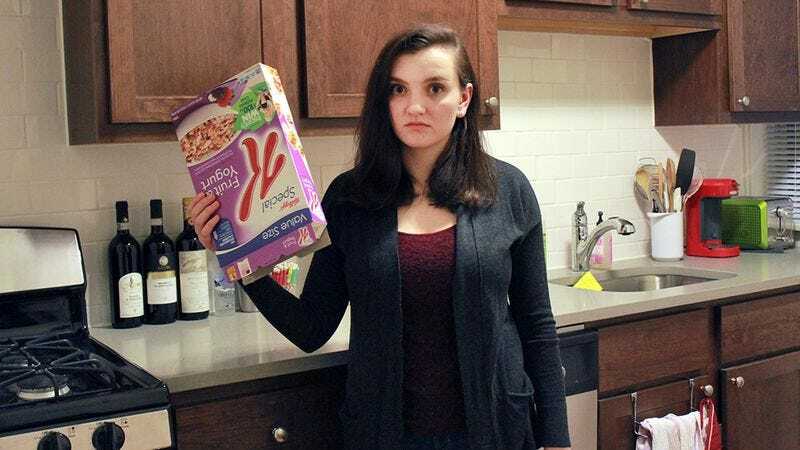 Her message is clear and really cuts to the heart of the matter: There’s no more cereal. If there were some cereal left, it would fall out when she flipped the box upside down. But there isn’t any falling out. Not a single piece. And that’s precisely what makes this image such a searing indictment of the emptiness of the cereal box. Let’s hope this woman’s eye-opening demonstration raises awareness of this issue. Incredible.